Heres something I would like to share if your iPhone FaceTime is not working. What has happened? I have been searching numerous places but very few people talk about the missing FaceTime setting. Heres what I have consolidated. Go to Settings > Phone and verify your FaceTime is ON. 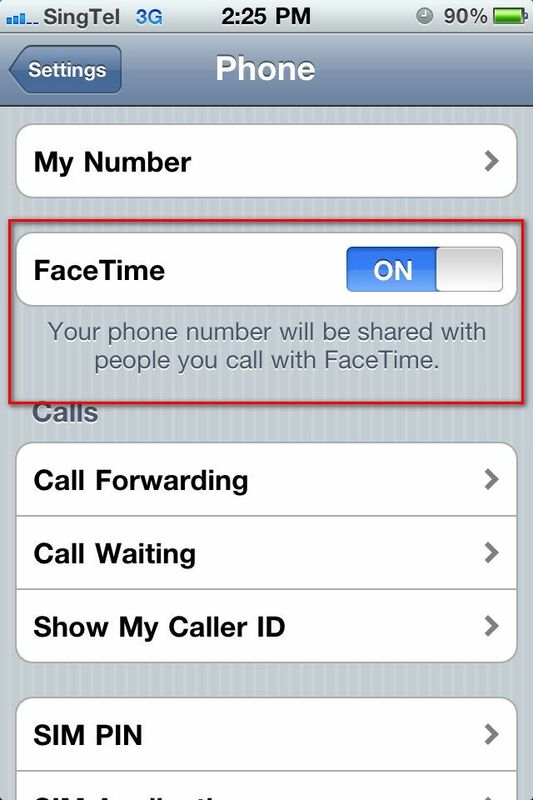 If your FaceTime setting is missing, I am guessing that you have just jailbroken your phone. FaceTime will have problem working properly after you have jail broken. (Read more here). Do a Cydia update of the "Base Structure" package and the setting should appear after a reboot. You should be on WIFI for the FaceTime to work. 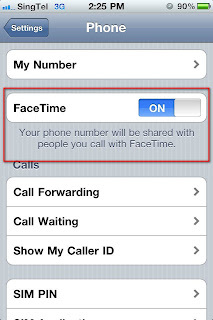 If you do not mind playing a small fee, my other post will share how to make FaceTime work on 3G. The person you are calling should also be on iPhone 4 with WIFI. I have the solution!!!! I think... Some people like me don't have﻿ the option in settings anymore to toggle on/of facetime on jailbroken Iphones. No need to restore. Just go to savemode when turning of your Iphone. Go to settings and the opttion to turn of facetime is there! Spread the word!!! HI I have an i phone 4 with the face time setting and wifi setup. the people I am trying to call also have an i phone 4 and I am not able to connect. I just bought the phone brand new and didn't have to jail break it. Do you have any suggestions for me before I take it into the apple store? I never have this problem before. My experience is that once Facetime is setup, it will work if you are on Wifi.